Are tech conferences nothing but a big ol' boondoggle? Do conferences, trade shows and education really produce stronger IT leaders? A boondoggle is defined as a waste of money or time on unnecessary or questionable activities but giving the appearance of value. Some IT leaders are accused of pursuing boondoggles when they attend user conferences or educational sessions held at some destination location such as Las Vegas or Orlando. Others get accused of attending too many such meetings and not paying enough attention to their real jobs. It’s easy to understand why bosses and peers construe such travel as boondoggles when vendors go out of their way to make attendance attractive by adding golf, evening dinners, parties, tours, wine tastings, and celebrity participation. However, some bosses may be missing how vital it is for their IT leaders to attend wisely chosen conferences, trade shows, and education sessions each year. Technology is changing so rapidly it is a challenge for the average IT leader to stay abreast of emerging trends, new product releases, new vendors or disruptive changes happening in the IT space that might impact her particular industry. The knowledge an IT professional has today can become irrelevant in only months, leaving the IT leader ill-equipped to make the best decisions for her organization, or contribute meaningfully to the technology components of the organization’s strategic plan. I have been amazed how often at conferences and trade shows I learned of a solution a current vendor partner had that I knew nothing about and was able to use it to solve some sticky problem I was dealing with. The vendor did not know I needed the solution, and I didn’t know the vendor had it because there are few forums for discovery in the daily grind of meetings, problem solving, project management, and so on. Conferences, trade shows, and educational sessions not only reveal current and future vendor solutions but establish relationships with vendor personnel that may be important later when solving problems. Years ago, on a job interview, the hiring manager asked, “What resources do you use to validate your decisions, and ensure you are bringing the best solutions to the company?” I was happily able to describe an informal network of experts with whom I had relationships who were more than happy to answer my call and help me with a problem. I noted that a large number of these entries in my rolodex came about as a result networking at conferences and trade shows with vendors and colleagues. Bosses who prohibit such outside involvements may eventually find their IT leader sinking into ineffectiveness. Conferences and trade shows provide opportunities for setting up meetings with current and potential vendors that might take weeks or months to accomplish when the IT leader is back at the office. At conferences access is easier to obtain to top level engineers and vendor decision makers that are closely guarded during regular work days. Establishing trusted relationships during conferences with key vendors can also produce competitive advantage when vendors share their roadmaps and futures with you at a deeper level than they do your competitors. Trade shows and conferences allow quick and easy product comparisons as the IT leader can walk from booth to booth rapidly comparing features and functions. We also should not underrate how important it is to see how other institutions across the country and the world are solving problems, creating innovations, and improving their IT services. One of the most important ideation techniques for prompting innovation is networking. The story is told about Steve Jobs taking a calligraphy class and through that he came up with the idea of variable fonts. If IT leaders are to be innovative or at least creative, they must get away from their desks, off the campus, and into places where they can see what is going on in their professional discipline, their industry, and the world. Creativity must be fed a regular and healthy diet of possibilities. How can we expect IT leaders to solve problems with tools they don’t know exist? Create a calendar of conferences, trade shows, and educational sessions you would like to attend. Be attentive to picking only those events that bring significant value. Leave room for at least two unspecified events so you can take advantage of something important that you could not have anticipated. In the schedule record the purpose for each event, benefit to the organization, and cost to attend. Citing the value it brought in prior years is also a good practice. Upon return from an event, a summary of the benefit derived vs. the benefit anticipated should be provided to the boss and others as appropriate. This is often called a trip report. There are times a verbal report or presentation to senior leaders may be even more effective. As often as possible, avoid venues that automatically cause boondoggle myopia among your peers and others. For example, a conference held in Hawaii might be very valuable, but may cost more in bad perceptions than it is worth. Don’t unnecessarily put your boss in a position to have to defend you taking these trips. That conference is likely to be available next year on the mainland, so swap the Hawaii conference out for another less controversial one. Make it your goal to bring back just one thing you can immediately put into practice or use for the good of the organization. You might see a hundred things that would be nice to do, but chances are your organization cannot take on that much anyway. So, come back with one thing and make sure the right people know you got the idea at a specific conference. As often as possible Invite your boss and peers to accompany you to relevant conferences so they see firsthand the value of your attendance. This also creates a great opportunity for relationship building. It can also be of great value to establish relationships between your boss and executives of your key vendors—a good investment when you need that leverage later. When our cash cows are dying and seismic shifts in the business environment threaten to make us unprofitable or irrelevant, new approaches, better products and services, and effective resolution of thorny business problems are needed. 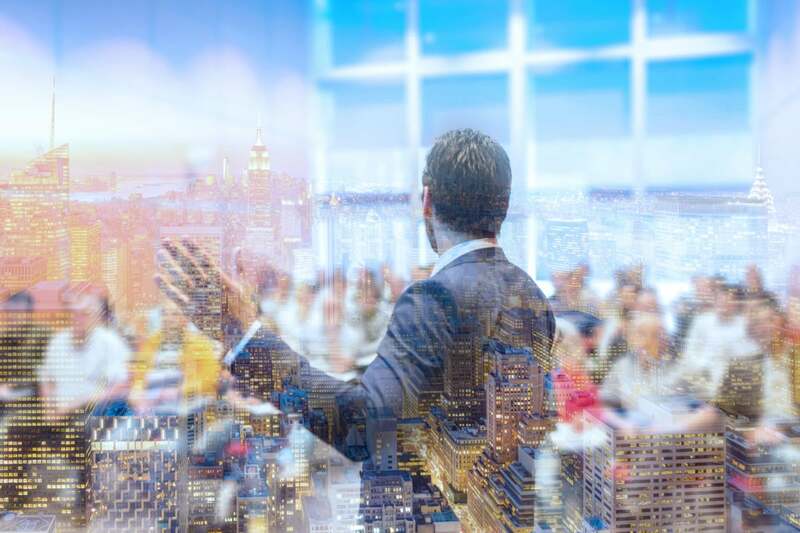 Ideas; that is the path to positive business transformation; and the attending the right conferences can make an ocean of ideas available to the IT leader, and therefore the enterprise. Be aware that a perceived boondoggle might just turn out to be more of a boon than a doggle to your enterprise. Avery Cloud is a respected information technology veteran with experience spanning healthcare, global manufacturing and consulting. He has served as Chief Information Officer at a variety of organizations such as, CHI St. Luke’s Health in Houston, New Hanover Regional Medical Center in Wilmington, N.C., INTEGRIS Health in Oklahoma City, and Novant Health in Winston-Salem, N.C.